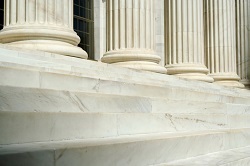 Arizona Personal Injury Accident Caused by the Government | Phoenix Personal Injury Law Blog - Breyer Law Offices, P.C. When you are involved in a personal injury accident, there are many things you have to think about: your health, your safety, your long term recovery, your finances, and whether or not you will be able to hold the person who caused your accident and your injuries responsible for their negligence. When your accident was caused by the negligence of another citizen just like you, there are laws governing your ability to file a lawsuit and to collect compensation from them. These laws are known as the statute of limitations. There are also laws governing how the case is presented and what your total rights and responsibilities are for collecting damages from the individual who caused your accident and your injuries, or who caused the death of your loved one. This is why many individuals, especially in complicated or very serious personal injury accident cases, opt to hire a skilled personal injury attorney to help them not only file their case, but to build a strong case that can be won, and that will ensure a proper outcome in terms of damages. Who is Responsible for Government Negligence? But what happens when your personal injury accident is caused by the negligence of the government or a government worker on duty? You may assume that the rules are the same. After all, why shouldn’t they be? When you are injured by the negligence of a person or a company, no matter who it is, the same rules should logically apply and you should be able to collect damages from the entity whose negligence caused the pain and suffering felt by you and your family. Unfortunately, this is not always the case. And the government in Arizona has developed rules and laws that apply to injury and wrongful death litigation and accidents for the government that are different from those laws and rules that have been developed and put into practice for the general public. But what does this mean to you? First and foremost, it means that if your accident was caused by a government worker on duty or by the government in some other fashion, you must be aware of and follow the rules and laws pertaining to litigation and the filing of cases against the government and not against the general public. If you accidentally use the wrong set of laws to help yourself move forward with your case and your recovery, you may find that you are unable to collect any damages or even file a lawsuit because you have failed to meet the requirements or to file your case within the statute of limitations for the government. The governments of Arizona have set up laws and rules governing personal injury accidents and wrongful death accidents that allow them to accept less responsibility than members of the general public when they, their actions, or the actions of their on duty employees are involved in, or are the primary cause of, an accident. Let’s take a look at this example. If you were driving down the freeway and a vehicle crossed into your lane, crashed into your car, and caused a serious accident where you and the passengers in your vehicle, and in their own vehicle, were all injured, the grounds for a civil case would be extremely high. If the individual was speeding, talking on their cell phone, distracted by the radio, or doing some other sort of activity in the car while they should have been paying attention to the road, your grounds for a case against them would be even higher. If any deaths occurred in the accident, the individual at fault for the collision could also be held criminally liable for their negligence in a criminal court of law. With the right attorney, you would be able to collect evidence, get witness statements and depositions, and work out the details of a settlement that would not only pay your medical bills, but also cover your living expenses while you are out of work, take care of any future expenses you are likely to have relating to your injuries and to your recovery, and even to compensate you for your pain and suffering. In the case of a wrongful death suit, the damages are likely also to cover the permanent loss of income that families experience after the death of a wage earner and other expenses the family is likely to incur, such as the cost of a funeral and burial. The statute of limitations, previously mentioned, in the state of Arizona, requires individuals who have been involved in or suffered due to a serious injury accident to file their case within a set number of months from the date of the accident. In some cases, the statute of limitations allows the case to be filed within a certain time period after the injury is discovered. For example, if you are involved in a car crash on April 3rd, but you have internal injuries not discovered until July 14th, then the timing for the statute of limitations will begin on July 14th, despite the fact that your injury actually occurred on the date of the accident. In Arizona, the statue of limitations for car crashes, like the one described above, is typically two years from the date that the accident occurred. Some people do not understand why there is a statute of limitations. After all, you should be able to file your lawsuit whenever you need to. You are the one who has been injured, right? But the statute of limitations is not meant to simply be roadblock for those who have been injured or who have suffered as the result of a serious personal injury accident or wrongful death accident. The purpose of the statute of limitations is to ensure that there is enough evidence still available for the case to be considered viable, and it is also meant to protect the person who caused the accident. Imagine if you caused a car crash that injured or killed another person and you had to spend the rest of your life wondering if you were going to be sued by the individual or by their family. Essentially, the statute of limitations ensures that all parties involved the accident and in the lawsuit are treated fairly, which is the point of the legal process. On the subject of evidence, after two years, the likelihood that you will remember that happened, be able to find witnesses and get statements, or even be able to obtain all of the right medical and police files and other evidence, diminishes significantly. What Steps Should I Follow When Filing a Claim? Filing your case as soon as possible, can help you ensure that the information from all involved parties and witnesses is correct, and that you are able to collect all pertinent evidence. If you speak with a skilled personal injury attorney immediately after your accident you’ll have the right guidance to ensure that you get photos of your injuries, witness statements, proper police and medical reports, and other documentation that may be difficult to come by later. Unfortunately, when it comes to accidents caused by the negligence of the government or their employees, the rules are different. The government in Arizona has created a statute of limitations of only one year for personal injury accident cases that are to be filed against the government. In these cases, it does not matter if the government issues a written statement indicating their own negligence or the fault of an employee in the accident. The fact of the matter is that the rules and laws that have been set up may make it impossible for you to file a case at all. These short timeframes and the other requirements of filing a lawsuit against the government can make it impossible for individuals who have been injured in an accident, or the families of those who have been killed, to file a lawsuit appropriately and with everything needed in order to make a good case. Every governmental entity in the state of Arizona, from the state government down to school districts, have their own laws and rules called “notice of claim”. The problem with these “notices of claim” is that they effectively cut the statute of limitations in half. A “notice of claim” must be filed within 180 days from the date of the accident, and not from the date that an injury was discovered or determined to be caused by the governmental entity. This means that those who need to file a lawsuit against a government agency for a personal injury accident have less than six months to get all of the necessary documentation and other information and evidence together in order to make a case against the offending party. The reason for this “notice of claim” law in governments is to help release the government from their liability. After all, if you were seriously injured in a personal injury accident, you will likely still be focused on your recovery and therapy at the six month mark and you will not yet be thinking about needing remuneration from the negligent party that caused your accident and your injuries. In many cases, if you’ve been injured you may also be thinking in terms of the general statute of limitations and that can cause you a significant amount of trouble, as you may not even consider calling an attorney until after the actual deadline. While individuals who have been injured in an accident should have the right to take care of themselves and their medical care before they contact an attorney or move forward with a legal case, in cases where government entities or employees are involved, this is not always an option. Most pressing for individuals who find that they must file a “notice of claim” is noting that they cannot simply file a case as they would with a “notice of pleading” in a regular case. In a regular case, notice does not have to provide all of the details of the accident and the suit. But in a “notice of claim” all of the sufficient details and information for the case must be included or it will likely be rejected. In a regular case, you also needn’t serve anyone immediately before the statue of limitations is up. You need only ensure that your case has been filed. This helps give you the time you need to find and serve all of the individuals responsible in the accident. But in a case against the government you must file and serve all involved parties or your case will be rejected. Doing all of this in less than six months can be nearly impossible. If you were injured in an accident involving a government entity or employee protect your rights by calling a skilled personal injury attorney right away.